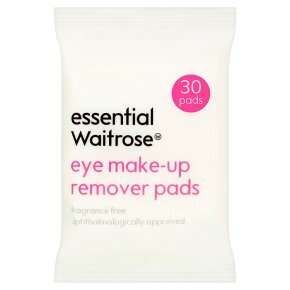 Waitrose eye make-up remover pads have been carefully formulated for all skin types, including sensitive skins. Dermatologically and ophthalmologically approved. Formulated with aloe vera, pro-vitamin B5 and cucumber extract to gently cleanse and remove eye make-up, including waterproof mascara.